On today's show, an EXCITING update on Tiffany's real estate adventure. Have a question for us? Drop us a line at brownambitionpodcast.com. Have questions about money or your career? Hit us up at brownambitionpodcast.com! It's a Mad World, y'all. We couldn't start our show today without acknowledging the troubling events of the last few days. We eventually get down to business and take reader Angelique's question on sold off debt. "When a lender sells my debt and closes the account, do I still owe that debt?" We've got an answer for her and a huge Brown Ambition hug to everyone out there impacted by Lord Voldemort's refugee and muslim immigrant ban. If you'd like to share your story, send us a note at Brownambitionpodcast.com or at brownambitionpodcast@gmail.com. Have you dumped your big bank yet? 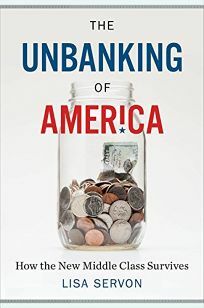 On today's show, we've got a super special guest: Lisa Servon, author of the new book "The Unbanking of America: How the New Middle Class Survives" joins us for a conversation about how payday lenders and check cashing facilities are taking the place of big banks in our neighborhoods. Lisa didn't just write about these businesses. She actually worked for months at a check cashing business in the South Bronx in New York City and a payday lender in Oakland, California, where she talked to real people using these services to find out why — and how banks have let them down. Suffering from an Inaugural hangover? Here's one way to feel better: Speak Up! Contact your local representatives and tell them how you feel about the direction our country is heading. We have voices. Let's use them! Today's listener question: "Should I stop paying an account that's been charged off?" First of all, thank you for making January our biggest month for downloads yet! If you haven't, please take 2 minutes to leave us a review on iTunes. This is a HUGE factor in how many people are able to find our show on iTunes, and every review counts! LevelMoney: Find out exactly what you can afford to spend each day. Hello Fresh: How she makes great dinners without ever going to the store. Today's question: How do I even begin to find a financial planner? Tiffany's win this week featured Lucinda Cross, founder of the "Activate Movement." -Find out how Mandi booked a European honeymoon for FREE and Tiffany got her wedding dress for FREE. We are kind of killing this wedding planning thing, y'all. -All you need to know about joining Tiffany's Live Richer Challenge: Credit Edition, a free online program that will help you finally pay down your credit card debt. To sign up visit http://LRCCredit.com. -Balance Transfer: What it is, how to use one and mistakes to avoid. Oh, prenups. On today's show, we are tackling this sticky taboo topic and telling y'all how to convince your partner to get on board with a prenup. Tiffany updates us on her real estate investment journey and spills ALL the details on how she and Superman saved up for their first property, how they got preapproved for a mortgage lickity split and everything that went into their decision process so far. Have a question you want featured on the show? Drop us a note at Brownambitionpodcast.com! 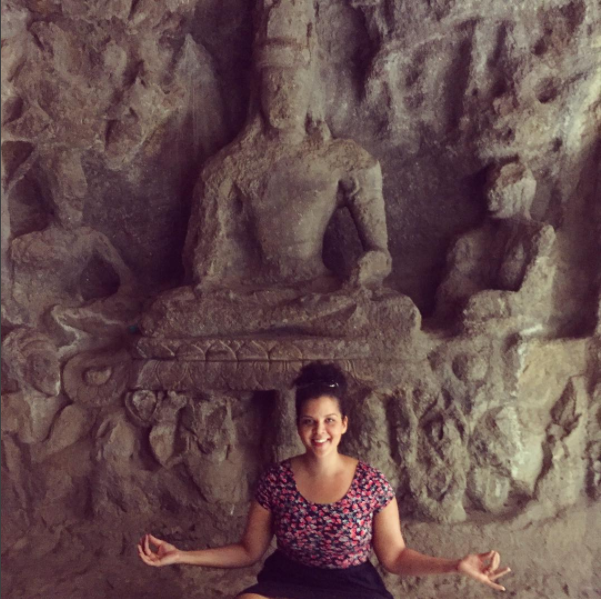 Check out these snaps from Mandi's trip to Mumbai! We're back! And you do not want to miss this show, y'all. We just went international. -Mandi reveals the BEST travel rewards credit card on the market right now. Can you say "100,000 bonus miles"? -Tiffany's big cameo on The Real has aired! We cover a LOT of ground today, BA Fam. You do not want to miss this ep! -Mandi spills the beans on how she and fiance boo saved a bundle on their new car AND got an amazingly low auto loan rate....AND found a sweet new apartment all in one week. -Mandi FINALLY gets her wedding dress...and manages to save $400! Happy Thanksgiving everyone! We are so grateful for your love and support. Don't forget to send us love by leaving us a review or sending us a note at brownambitionpodcast.com. Everyone knows investing is a key component of a healthy financial life....but how the heck are you supposed to get started when you A) have no idea what you're doing and B) can hardly make ends meet as it is? On today's show, we're joined by Eric Patrick, founder of the Black Market Exchange, a financial education website empowering millennials to get in the investing game. Have a question for us? Head to brownambitionpodcast.com. BA Fam -- You have asked for it and we are delivering! We want to answer your toughest questions on debt for an upcoming series on the podcast. We've missed you BA Fam! We are back this week with a fresh episode and trust us...we are making up for lost time in BIG way. First *drumroll please* one of us has a personal update we've all been waiting for....find out in the first 5 minutes of this week's show. We've got a feeling no one saw it happening like this. Finally, we are taking YOUR questions on today's show. Have a question for us? Go to brownambitionpodcast.com to ask us anything. One listener is worried she signed up for a student loan payment scam. Mandi does a little digging to find out what she's really paying for. And lastly, another listener is worried she isn't cut out for her job and is considering quitting and going back to grad school. Is it worth the risk or should she stick it out? You don't want to miss Tiffany's answer on this one. This week on the podcast, we're cleaning out our inbox and answering YOUR biggest questions about money, careers and relationships. Tiffany shares the secret behind her relationship success...Hint: it starts with her closet! Can you really write a letter to credit bureaus to get negative marks removed from your report? We've got your answer. And finally, what do you do if you haven't built up enough credit history to get approved for new types of credit? To send us your questions, head to BrownAmbitionPodcast.com and submit a question through our handy "Ask Us Anything" form. We'd love to hear from you! You may have noticed Ep. 55, our interview with CurlBox founder Myleik Teele, is no longer appearing. The show has been removed at her request. 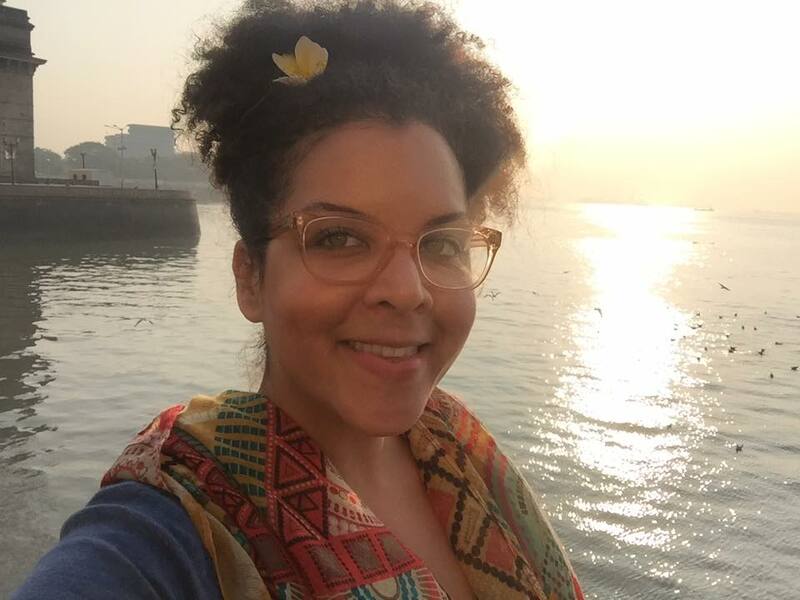 Ms. Teele felt our description of the show focused too much her past, which she has discussed openly in other interviews on other podcasts and media outlets. We don't often have guests on the show and we were thrilled to have such an accomplished entrepreneur share her story. Unfortunately, we were unable to come to a satisfying compromise and we felt it was easiest to remove the show and move on. All that aside, the most important thing to us is YOU -- our listeners -- and we are sorry to disappoint any listeners who were looking forward to Part II of our interview. We do our best to treat any guest on our show with the utmost respect and will continue to do so in the future. Have you seen our new look? Check out the new BrownAmbitionPodcast.com! Tiffany and Mandi weigh in on the teacher from Georgia whose envelope-pushing ensembles have everyone talking. Happy Anniversary, BA Fam! By now we hope you have checked out our newly redesigned website and are loving the fresh new look. We are so thrilled to be celebrating our 1-year anniversary. We couldn't have gotten here without YOU! Thanks for listening, thanks for your support. What does it really take to become CEO? We've got the results of a new LinkedIn study that reveals exactly what you need to do to have the best shot at a spot at the top of the office food chain. 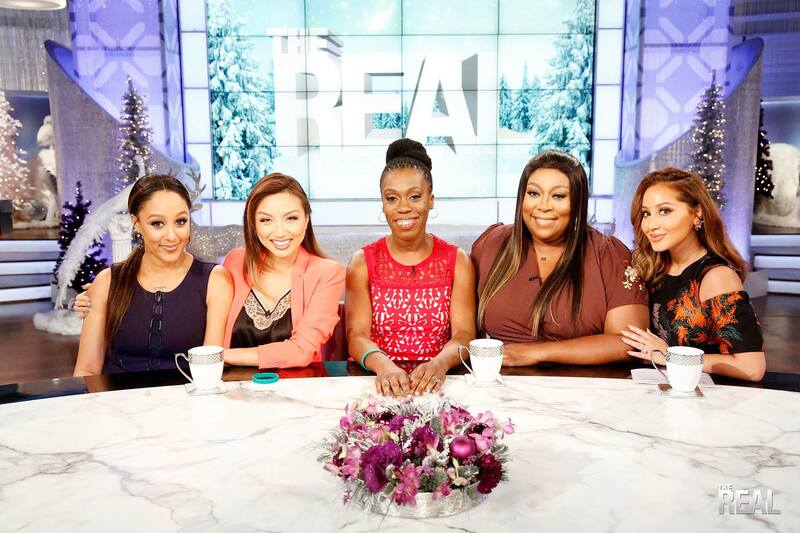 We also take a question from single mom "Kim" who earns $92,000 and still feels like she's broke. Lena Dunham. Why? Just why? What's the right amount to give at weddings? Today's guest needs no introduction but we gon' give her one anyway! Luvvie Ajayi has turned her hilarious pop culture blog AwesomelyLuvvie.com into a media sensation. For the last 13 years she bas been cracking up the Interwebs with her bitingly funny and whip smart takes on celebrity, TV, film, technology, politics and more. 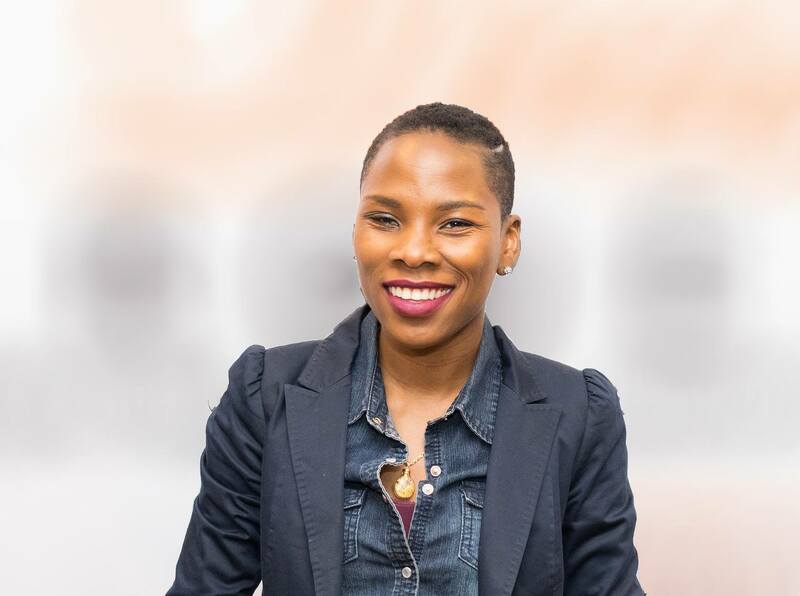 This year, the self-proclaimed "professional troublemaker" caught the eye of none other than Oprah Winfrey herself, who included Luvvie on her first annual Super Soul 100 list. This September, Luvvie is releasing her first book, "I'M JUDGING YOU: The Do-Better Manual". Pre-order it on Amazon or wherever books are sold. We can hardly believe it, BA Fam...the Brown Ambition podcast is turning 1! To celebrate our pending anniversary, we're hosting an epic contest and treating a whole group of lucky listeners to a special evening with us — your hosts! Win a Night of Dinner + Drinks with Mandi and Tiffany! To enter, send an email to brownambitionpodcast@gmail.com and answer this question: What does Brown Ambition mean to you personally, whether in your personal life or your career? This is a shot to tell us why you are proud to be part of the #BrownAmbition family. Submissions are Due by Sept. 1 and winners will be notified by September 4th. The dinner will be hosted in the NYC area, so keep that in mind before entering. Welcome Dream Catchers! If you're just finding the show, be sure to check out our Facebook page and take the time to leave us a review on iTunes. On today's show, we chat with Keona Harris, a Houston, Texas-based mother and entrepreneur. After going through a divorce, buying a new home, and starting her own business — all within the last year! — Keona decided there was no better time to plan a cross country road trip with her 9-year-old daughter. "I was one of those people who when I had PTO days I couldn’t or wouldn’t use them because work would get backed up," Keona told us. "I just had to look at my situation and ask myself what is more important to me? My child was going to daycare and school all day. I didn’t get home until it was time to put her to bed. I didn’t want that life for her. I didn’t want that life for us… I don’t need to give the best of my years and my times to an institution when my daughter needs me most." We talked to Keona about why she decided to plan this journey for her daughter and, of course, how she saved up the money to fund it.